Mrs. Murray, an old and respected resident of this district died early on Monday morning at the residence of her daughter, Mrs. William Parnell, Jnr. on the Young Road. Deceased who was 60 years of age had been blind for many years. Her loss of sight being occasioned by a gun, supposed to have been emptied, which was pointed at her and containing a charge of powder shut her in darkness for the remainder of her life. The affliction was born with cheerfulness and only to a certain extent interfered with the performance of household duties. Mrs. Murray leaves one son, Mr. John Murray, Manager of Iandra and three daughters, Mesdames Charles Keir, Terence McFarland and William Parnell, Jnr. The funeral on Tuesday was very largely attended. The Rev. Fr. Lane officiated at the grave. An accident, serious enough but not so bad as it might have been happened to Mrs. John Murray who with her children was coming from Iandra on the day of her mother-in-law’s funeral. At the Tyagong bridge the ring came out of the pole and the vehicle and the horses became unmanageable in the hands of Mr. John Nealon who was driving. An impact with the post of the bridge which threw Mrs. Murray out probably saved the party from a far worse experience in the deep creek below. As it was the children escaped with some cuts and bruises. Nealon who stuck manfully to the horses saving the children and vehicle went over the dashboard and was dragged along for some distance on his stomach, a nut of the buggy through his mackintosh. Mrs. Murray was severely hurt about the head sustaining slight concussion. In an unconscious condition she was conveyed to Mr. Myers residence and medical aid summoned. From enquiries later in the day we were glad to find though still suffering from the injuries and prostrated by the shock Mrs. Murray was progressing favourably. The death occurred yesterday at Grenfell District Hospital - on Tuesday evening of Mrs. Murray, widow of the late John Murray, daughter of the late Mr. and Mrs. Nealon, a name well known in Grenfell District. Her husband pre-deceased her a few years ago, the late Mr. Murray being well remembered as the manager of the late Hon. G. H. Greene of Iandra and who assisted very materially in the success of share - farming on that estate. Later Mr. Murray purchased the “Weddin View” property at Piney Range and later went to live in Sydney where he met with a serious accident. On his death Mrs. Murray came back to live at Grenfell. The late Mrs. Murray was a very energetic worker for many efforts held in aid of various public institutions, was charitably inclined and assisted in a large measure at the functions connected with St Josephs Church. The funeral yesterday was largely attended. Rev. Fr. McDade officiating at the services of the church and the cemetery. Surviving children are Messrs. Jack Murray (Coonabarabran), William (Peak Hill), V. C. Murray and James Murray, Piney Range and Mrs. A. Burness, Mrs. Lynch (Grenfell) and Mrs. Arthur (Gundagai). End-Line Unnamed Nealon has no known descendants. 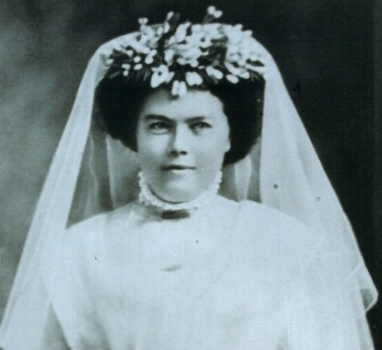 Nickname Margaret Anne Nealon was often called Annie as shown in her death entry in the NSW BDM Index. [S2] Index of BDM records, NSW BDM, Place of Registration: Grenfell; Year: 1936; Number: 1895. After a long and painful illness the death occurred on Tuesday of Mr. John Nealon at the age of 58 years. Deceased was the son of the late Mr. and Mrs. William Nealon and leaves a widow and daughter and son to mourn their loss. Brothers and sisters surviving are Messrs. William, Harry, Arthur and Clarence and Mrs. James Stiff, Mrs. John Murray and Mrs. Lamont of Barellan. Misfortune certainly walked hand in hand with the late Mr. Nealon. Some years ago he had his jaw badly broken from a kick from a horse and later whilst using an axe broke an arm. From the first accident his death can be attributed. After months of suffering during which he had the care and attention of a loving wife and daughter death laid a kindly hand on him as it was stated. And so ended a life that would have been one of much suffering. The funeral which was yesterday afternoon was largely attended the cortege being headed by the Salvation Army band. Major Foley officiated at the grave. Many friends were unable to be present owing to being laid aside with the flu. End-Line Emily Eliza Nealon has no known descendants. Photo circa 1957 Elsie May Nealon and Leitch Lamont were in the photograph taken circa 1957. Death 1948 Mary Matilda Ure died in 1948 at NSW, AustraliaG. Incorrectly transcribed as Huw in the NSW BDM Index. [S573] Melissa Fenton, "The Descendants of John & Amy Fenton," e-mail to Robert Mote, February 2006. [S573] Melissa Fenton, "The Descendants of John & Amy Fenton," e-mail to Robert Mote, February 2006, Genes Reunited Tree. On Tuesday morning, a quiet but pretty wedding was celebrated in St. Joseph’s Presbytery, GRENFELL. The Rev. Fr. McAlroy officiating when J.A., eldest son at Mr. & Mrs. J. Murray of Weddin View, Piney Range was united to Elsie Miriam, daughter of Mr. and Mrs. W. Dean of Pullabooka. The bride’s dress was of cream corded silk richly worked with beads and pearls. She wore the usual wreath and veil and carried a bouquet, the gift of the bridegroom’s mother. The bridesmaid was Miss Millicent Murray and Mr. Harry Nealon was best man. After the ceremony there was an adjournment to the Criterion hotel where an elegantly prepared breakfast awaited. Mr. W. Brien proposed the toast to the health of the bride and. bridegroom - the toast being supported by Mr. Henry Nealon and responded to by the bridegroom. The bride’s present to the bridegroom was a silver shaving mug - the bridegroom’s present to the bride, a gold bangle. There was a large number of handsome gifts. Mr. and Mrs. Murray left by the afternoon train for Sydney - numerous friends assembling at the station to see them off the usual farewell given. The bride's travelling dress was of saxe blue. [S2] Index of BDM records, NSW BDM, Place of Registration: Grenfell; Year: 1921; Number: 12978. Birth Cert. 19 September 1889 Millicent Mary Murray's Birth Certificate attached.